Becoming a fighter pilot is still a hotly coveted goal at the Air Force Academy in Colorado Springs, Colo. But slowly, a culture change is taking hold. Initially snubbed as second-class pilot-wannabes, the airmen who remotely control America’s arsenal of lethal drones are gaining stature and securing a permanent place in the US Air Force. Drawn to the flashy drone strikes that have taken out terrorists including al-Qaida leader Anwar al-Awlaki in Yemen to the terror group’s No. 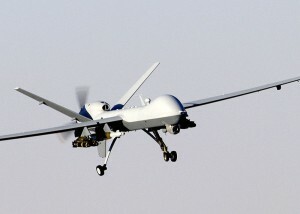 2 strongman Abu Yahya al-Libi in Pakistan, airmen are beginning to target unmanned aircraft as their career of choice. It’s a far cry from the grumbling across the air corps a few years ago when air force leaders – desperate to meet the rapidly escalating demand for drones – began yanking fighter pilots out of their cockpits and placing them at the remote controls of unmanned Predators and Reapers. The shift is critical as the air force struggles to fill a shortfall of more than 300 drone pilots to meet the US military’s enormous hunger for unmanned aircraft around the world. Some airmen are even volunteering to give up the exhilarating Gforce ride in their F-16s for the desktop computer screens and joysticks that direct drones over battlefields thousands of kilometres away. The difference is often generational, but many pilots see drones as the future of air combat. Read more on The Ottawa Citizen website.